Waiting for the kingdom is an experience of keeping the Watch with Jesus through out the lonely hours of the night as Maundsly Thursday transitions into Good Friday. It’s 1pm on Good Friday and I am awakening after four hours of fitful and intense sleep following the long night’s Watch with Jesus in the Garden of Gethsemane. In our Anglican Liturgical Tradition watching is enacted symbolically before Jesus’ sacramental presence placed in the symbolic Gethsemane, a corner of the Church which remains decorated with flower, silks and linens, lit with lamps and lights in the midst of an otherwise interior stripped bear of its usual ornament. What is Jesus watching – waiting for? What is he inviting us to watch and wait with him for? The answer is: Jesus is watching for the emerging contours of the Kingdom of God. Contours, emerging into reality, anxious minute by anxious minute, long hour by long hour. The Watch, is a confrontation for each of us with our individual experience. I observed some coming for their hour and then leave, a tinge of regret that the relentlessness of life demands takes them away. Others arrived for their allotted time and stayed on, unable to leave. Although, appearing not always clear about what continued to hold them, they communicated the look of those who know they can be no where else for that moment. Still, others came for their allotted time, leave, and then returned, some times more than once throughout the long watch of the night. That this experience is spiritually purposeful to those companioning me through the long transition from Maundy Thursday to Good Friday is, for me, beyond any doubt! I expect over the coming days some will confide their experience to me, while others will treasure the experience in varying mindsets of palpable incomprehension of the sense of connection, in a moment there and then gone, but never absent. Yet, what is my sense-making of my own experience of waiting with Jesus, watching for the Kingdom? My spiritual memory locks me into repeating this event each year. Yet, this year, as priest in sole charge, without other priestly colleagues to share the load, I am there because I feel a responsibility for the safety of those who will come and go. This functional explanation helps and hinders me throughout this night. It helps to have a rational explanation for doing something apparently absurd. It hinders me, because it distracts and insulates me from experiencing the pain of my deeper spiritual need to wait, watching without knowing exactly what I wait and watch for. There are moments when I am able to surrender to that which is just beyond the boundary of my conscious awareness. These are moments of calm. There are many more moments of frustrated agitation, in which to stay is to know that Jesus also is beside himself, agitated by the dawning enormity of what is unfolding for him. The dawning, a double entendre, of the Kingdom makes me desperate. I sit, like some 3rd leg relay runner, gripping the baton at times in the hope of colleagues who will come and take it from me, letting me leave this long and exhausting race. Knowing they will arrive for Morning Prayer at 9am, I hang on only long enough to meet them arriving in the car park as I take flight under the pretext of fatigue. Like the first disciples, eventually I cannot bear any longer the waiting and the watching with Jesus for the coming of the Kingdom. And yet, as I awaken from the imagined respite of four hours of sleep to repare for the coming Liturgy of Good Friday, even though I taste the bitter ego failure of having taken flight, I know I have seen the Kingdom of God coming through the agency of my Jesus who, sometimes in agitation, other times in calm certainty endures the violence of the kingdom of this world, a violence that implicates me, in order for another kingdom, God’s Kingdom to invite me-in. The passage from Exodus 3:1-15 set as the Old Testament Lesson for the 3rd Sunday in Lent opens with Moses encountering God in the burning bush at the foot of the mountain of God. So what possible conversation might God be seeking to have with us, within the context of our 21st century lives? One feature of 21st century life is that we live in an age when we sup on an endless diet of celebrity. Our celebrities and superheroes seemingly live in a universe that is magnified to epic – larger than life- proportions. Against these images our lives seems small and insignificant. Exodus 3:1-15 seems but an Old Testament version of today’s celeb-superhero images. When we read this passage the images that are indelibly engrained upon our imaginations are of Charlton Heston as a rugged superhero Moses. The danger of viewing Moses as some kind of superhero in an epic movie is that it distracts us from the possibility of hearing God calling our own names. We experience our insignificance in comparison to the images of the superhero Moses, whose every action has such significance. By viewing Moses’ encounter with the call of God at the burning bush as a larger than life tale, we deepen the disconnect between the lives we live, and our longing to experience a deeper purpose for our lives. The passage opens with Moses, the Hebrew adopted son of Pharaoh’s daughter, now a fugitive from Pharaoh’s Law, shunned and rejected by his own Hebrew people. He has fled to the wilderness of Sinai. In pursuit of a new life he has become a shepherd for Jethro, the priest of Midian, whom we also learn is Moses’ father-in-law. We are told: that Moses was leading his flock beyond the wilderness, and came to Horeb, the mountain of God. My attention is tweaked by this image of Moses wandering not just in the wilderness, but, beyond the wilderness where he stumbles upon the Mountain of God. For me this is a symbol of a place beyond the normal limits of our known, familiar world. The implication here, is that we stumble upon God when we become open to and able to tolerate the unfamiliar. We either don’t recognize or fear the unfamiliar because it does not trigger the familiarity of memory. The importance of the unfamiliar is that it is yet to become fully and consciously known by us. The unfamiliar offers us space to grow. In Exodus 3 the place beyond the wilderness seems to us to be a rationally improbable place of enchanted pre-modern imagination. Here, God’s voice booms from within flaming bushes that never burn-up. 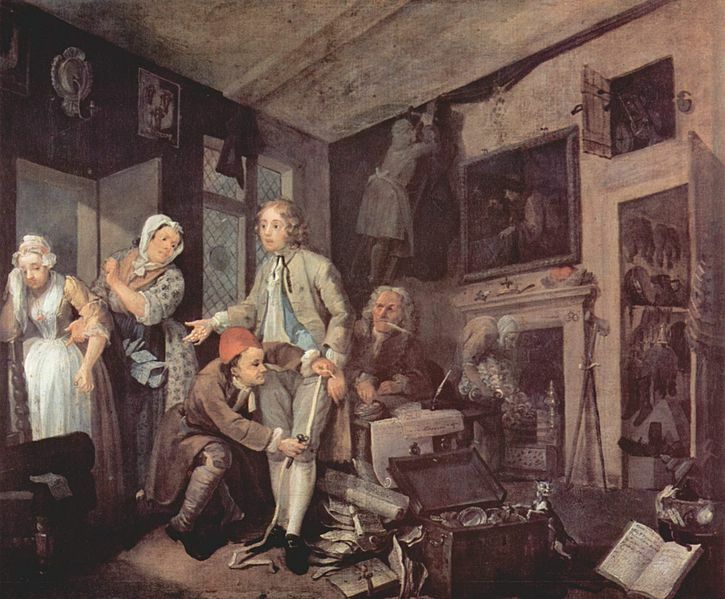 However, it is important not to become distracted by the literary images of the pre-modern imagination. 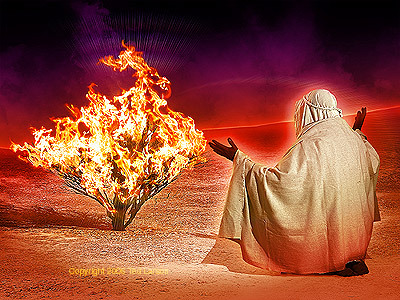 The burning bush serves as a metaphor for the presence of God. We are being shown that the significance of the place beyond the wilderness is as a place of unfamiliarity lying at the heart of what otherwise is our everyday experience. I used the phrase stumble upon a moment ago to communicate that sense of being surprised by the unexpected. Actually, Moses does not so much stumble upon the Mountain of God. He spies the burning bush some distance off. So he departs from the path, taking a detour in order to investigate this strange sight. As 21st century Christians the place beyond the wilderness is a place of internal, psycho-spiritual insight, requiring us to take an unexpected detour around the road blocks of normal and familiar expectations. God introduces God-self to Moses using a familiar name – I am the God of your father, the God of Abraham, Isaac and Jacob. What interests me is that God self-identifies firstly, in terms of the familiar past, i.e. that already known to Moses. This is the God of Moses’ past, the God of Hebrew Tradition, with whom he is well acquainted. There is nothing unfamiliar for Moses here. Likewise, God self-identifies to us through the Tradition that is familiar to us. We need God to self- identify in terms that trigger our memory. The collective memory of our Christian Community conditions our individual ability to recognize, or fail to recognize, God in our own lives. Yet, it’s not enough for us to know God only in terms of the familiar images of the past. To do just this traps us within the possibilities of only what we already recognize. God expressly needs Moses. The prospect of this terrifies Moses whose first line of defense is the old Episcopalian ruse of humility – but God, who am I? The ruse of humility is saying, but God I am not important enough for you to even notice me let alone task me with the impossible. God counters – don’t worry about that, I will be with you all the way. Then Moses regroups in order to come at God from a different angle. But God, if I say the God of our ancestors has sent me, they will ask me your name, and what shall I tell them? God replies, tell them I AM WHO I AM sent me to you. God, who has up to this point identified in terms of Hebrew collective memory, now offers a new and mysterious name. God declares, I AM WHO I AM. The Hebrew words are ambiguous and can also be translated as, I WILL BE WHO I WILL BE. The God of our fathers, the God of tradition and the familiar past becomes the, I AM of the present moment. Yet, the meaning of I AM is unstable and oscillates between I AM, i.e. God in the present moment, and I WILL BE, God in the future. The flow of time from past to present to future is only a human mental construct. For God, the present moment encompasses past, present, and future as a continuous interchange of ebb and flow. God is beckoning Moses forward out of the familiar past where his expectation is of an omnipotent God performing might acts all on his own. God is inviting Moses into a new and unfamiliar experience, a God who is seeking his co-operation, his partnership. The perpetual dilemma for human beings is that our minds only recognizes that which we are already looking for. This accounts for the difficulty we encounter in making truly new choices. Moses in wandering along leading his flock of sheep. Without realizing it he finds himself in a place beyond the wilderness. What we need to take note of is that before Moses becomes scared he first becomes curious. In the place beyond the wilderness a sense of familiarity is replaced by a growing sense of curiosity. Moses becomes more alert and his attention is attracted to something happening in his peripheral vision. He might just as well have continued on his way, but his curiosity diverts him from his path. Curiosity is an important element in the spiritual life. It leads us off the beaten path where we wander through a landscape of familiar landmarks. Curiosity leads us to take what at first may only seem a detour. Yet, the detour leads us onto a new path where because the landscape is unfamiliar to us, God has more of a chance to surprise us with something new. The Church’s Lectionary binds us to the conversation that God is seeking to have with us, the people of God in a particular place, in this instance at the people of God at Trinity Cathedral at the intersection of Roosevelt and Central. This prevents us from being confined by the familiar conversation, which is the only conversation we can have with ourselves. Through Exodus3:1-15 God beckons us into the necessity of journeying beyond those familiar landmarks that populate our settled, imaginations into the place beyond the wilderness. Paradoxically, for us the place beyond the wilderness this not the place of epic mountain top experience. The place beyond the wilderness is a place of intersection between known and yet to become known, lying at the heart of our everyday lives. God’s call issues out of the familiar images of the Tradition, images of majesty, awe, and holiness. Yet, the call only becomes personal to us when we allow our curiosity and our courage to win over our fear and need for familiarity. Daniel Deffenbaugh in his blog http://www.seedsofshalom.com/2008/08/ever-on-holy-ground.html puts it rather neatly when he says while, theophany surely issues from heaven, it’s holiness can be found only on the lowly ground where it becomes known, in the dust beneath our feet. Our longing to find meaning and purpose for our lives can only be satisfied when we accept God’s call for partnership to journey to a place beyond the wilderness. This is found not on the mountain of God but at the center of where our daily lives, live themselves out.